Well it’s official, Ben Simmons is totally hanging with Kendall Jenner, we discussed them being spotted at dinner earlier this week. But now they were at “Nice Guy” in West Hollywood together on Wednesday night. And this time it was a double date with another NBA Star. Who? 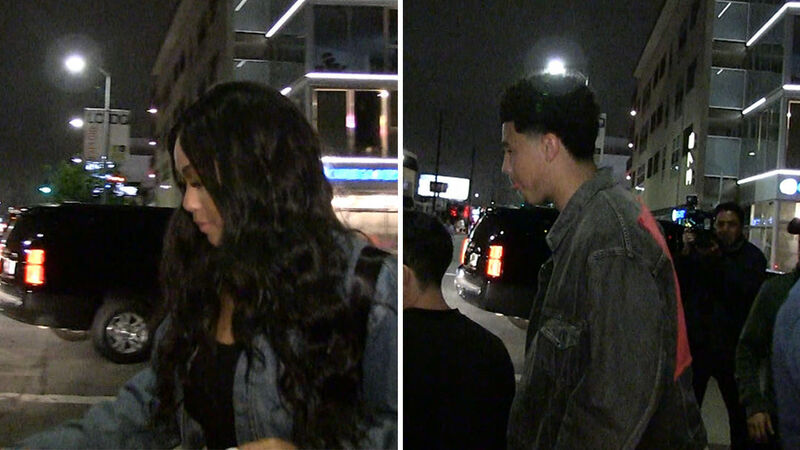 They were seen leaving Devin Booker and Kendall’s bestfriend Jordyn Woods who seems to be hanging with Devin Booker. It’s funny because Ben and Kendall hit up one of the most paparazzi-packed places in town — but arrived separately so the photo hogs couldn’t get a shot of them together. Just for fun Kendall left the restaurant around 10:45 to make it look like she was leaving … but she ended up sneaking back inside to hang with Ben. They both left together around 1am with Devin and Jordyn. Next article Are the 2002 Sacramento Kings one of the best NBA teams to never win a championship? Are the 2002 Sacramento Kings one of the best NBA teams to never win a championship?